Let's talk about bedside tables, shall we? Some are fans of the matching set, some like to mix it up. When we first started to redesign our little lady's room, we had an existing vintage dresser to the right of the bed and French inspired piece to the left of the bed. Not usually fans of the matching set, we did our best to make it work. The problem was the weight and feel of the two pieces just didn't compliment each other. One was wider and taller and more clunky, while the other was shorter and narrower and more delicate. In an effort to use what we had, after much trial and error, we finally tried her existing bookshelf to the left of the bed. Low and behold, it was perfect. The height and width are very similar as are the tones of wood in both pieces. And this, ladies and gentlemen, is how her little play nook was born. 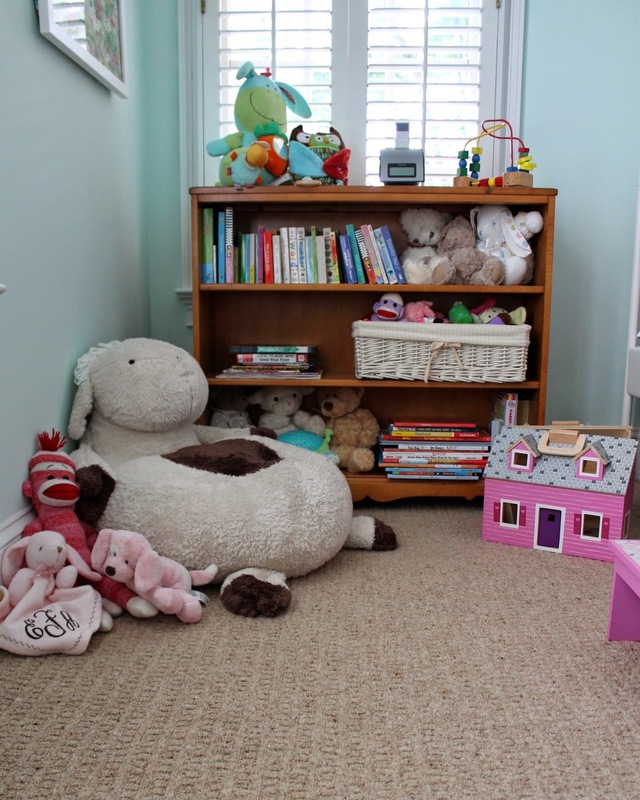 I love to incorporate a play space/homework zone/reading corner in kid's rooms. So much about design is for adults, really. So creating a small space just for them is an easy way to make them feel special. 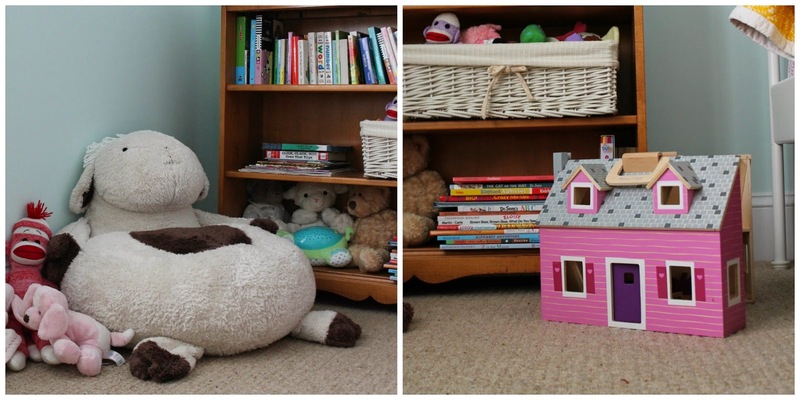 Our little lady isn't quite 3 yet, cardboard books, stuffed animals and dollhouses are still all the rage. And bonus for me, this little nook is tucked on the opposite side of her bed, so messes can't even be spied from the doorway. It's the little things, I tell you, for both of us. Check out the reading corner and homework zone we created in our big girl's room.